Hendrickson Truck Commercial Vehicle Systems recently introduced ROADMAAX heavy-duty rear air suspensions for fire and rescue vehicles in North America. ROADMAAX will serve as the new rear air suspension for Rosenbauer’s new SA Viper aerial truck, the company said. ROADMAAX is designed for heavy-duty fire and rescue markets with ride quality and equipment protection as its cornerstone features. The new system was put through rigorous test and validation procedures based on real world road conditions, Hendrickson said, and received “outstanding” feedback on its performance and capabilities. “We are excited to offer another innovation to the fire industry and provide first responders with the products and reliability that they need to do their job.” said Dave Scharphorn, director of sales for Rosenbauer Motors. ROADMAAX is designed to deliver enhanced handling in challenging environments where vehicles encounter sharp turns and unexpected ground and environmental conditions. 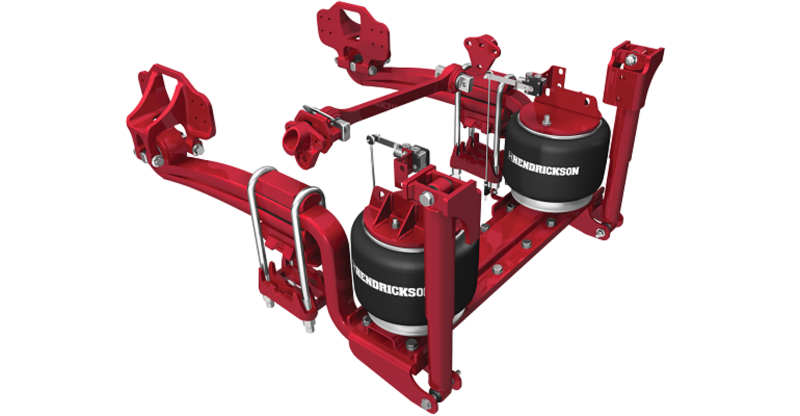 The integration of Hendrickson’s main support member spring technology, with its wide stance air springs, provides a balance of predictable handling and ride quality over a variety of terrain, the company said. Available initially in capacities of 35,000 pounds per axle at Rosenbauer in North America, ROADMAAX is approved for fire and rescue applications. So then what becomes of the FIREMAAX?